DSA Connect specialise in the safe erasure and destruction using specialist data eradication software, magnetic degaussing and shredding certified by CESG and approved by the UK National Cyber Security Centre (NCSC). As their Values and Corporate Responsibility Statements convey, they prioritise conducting business in a sustainable, equitable and community-focused way that has little social, economic and environmental impact. 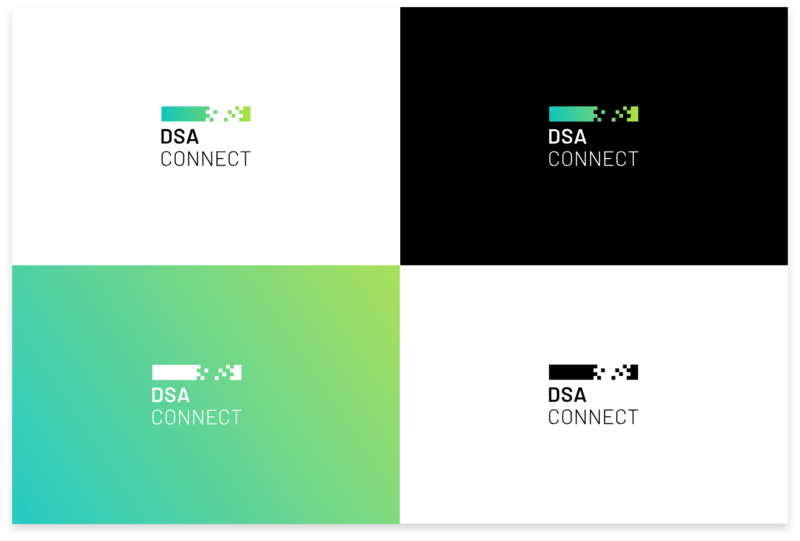 DSA Connect sought a brand redesign that would present them in a fresh, contemporary way and re-energise their online presence. From this brief, our designers had a lot of freedom to get creative. 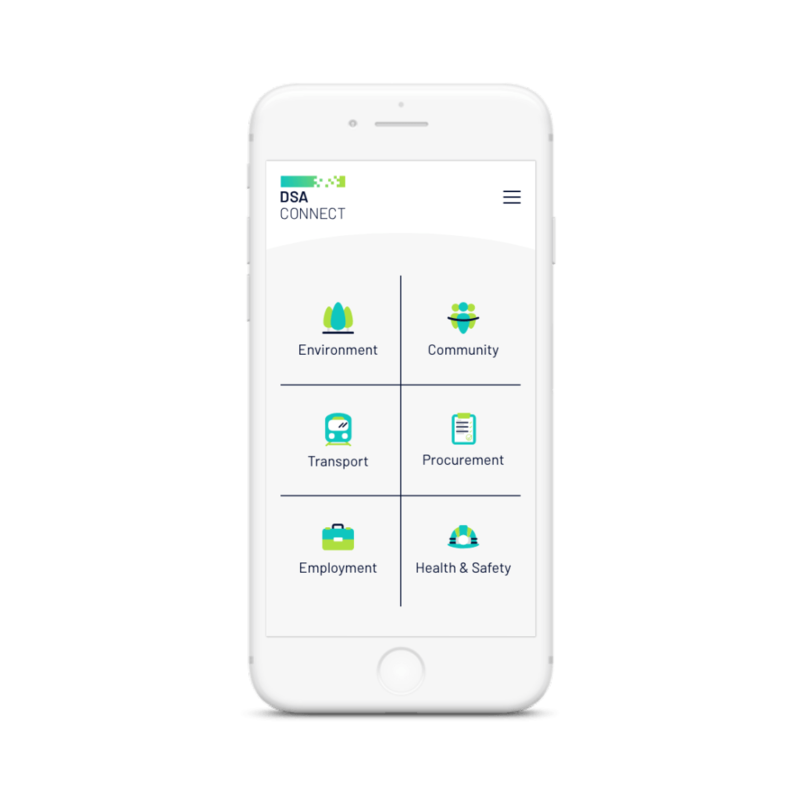 DSA Connect were also in much need of a website redesign as their old website’s look and functionality was outdated and limiting. 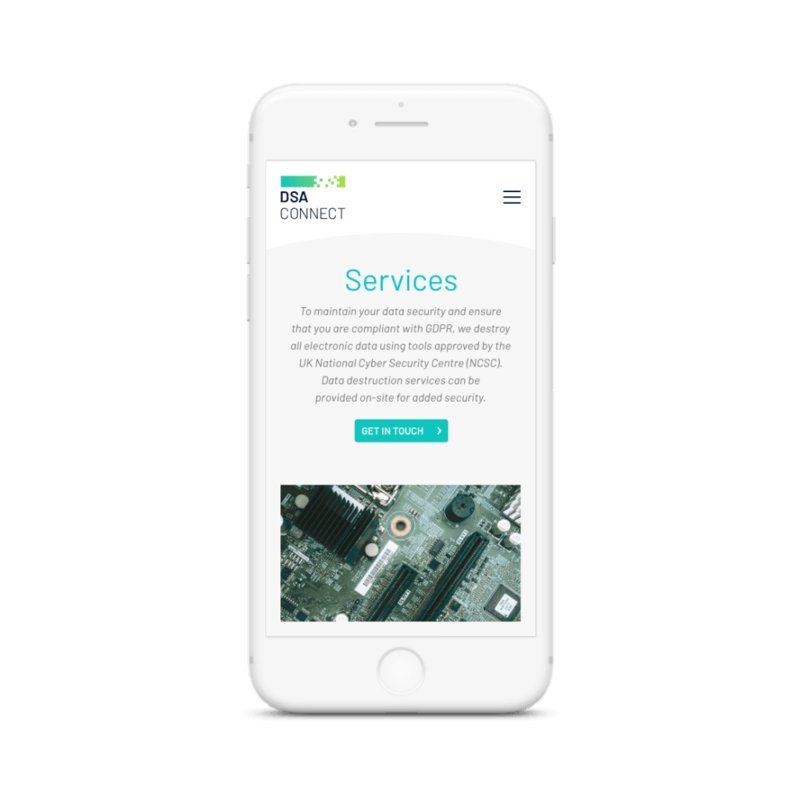 With a simple brief that they required an updated site that presented information in a user friendly way, we took the approach to create a website that strongly reflected the new DSA Connect brand whilst having intuitive and engaging functionality to encourage visitors to find out about the company’s services. Because of DSA Connect’s services being focussed on data destruction and erasure, for the logo our designers played with the idea of data and developed the pixels shape idea. We also explored colour schemes to discover a more contemporary palette that would be impactful on screen. As with all of our web design projects, we set about working the content into a bespoke design that extended their branding and attractively presented their company offering in a simple but effective way. We enjoyed exploring options for presentation of their Values, as it was clear from client communication that these were of great importnace alongside their service offering. We established a bold colour palette to create maximum impact. The striking green gradient is enhanced by implementing it onto a contrasting black background. Playing with the pixels concept relates the logo and branding to the data industry whilst simultaneously adding visual interest. The website layout is clean yet stylish, extending the branding colours and pixel shapes across DSA Connect’s web presence. The entire layout of the website is clear and structured for visitors to easily navigate. For their Values section we created branded icons for each Value as the inclusion of these attractive visual elements helps showcase their Values and their dedication to each area of their Corporate Social Responsibility. We’ve also designed a diversity of materials including letterheads, flyers, magazine ads and event banners. This showcases how a strong brand can be utilised successfully across diverse marketing avenues.